News: Chrissie Wellington is taking some time off, Challenge Wanaka and Israman are coming up this weekend, a new iron distance race called Bone Island Tri has been announced. This Weeks Photo: Sharon and David 'The Green Light Kid' Rowe have arrived in Wanaka for this weekends race. This weeks photo is The Green Light Kid showing of Des and Troy over Wanaka. Love it! This Weeks Discussion: We'd been told a lot about http://www.strava.com/ by Adam Titley and Luke Millar. It seems like a great app. This got us wondering, what is the best apps you use for your training? You can put one other 'non training' app in there as well ;-) Comment here. 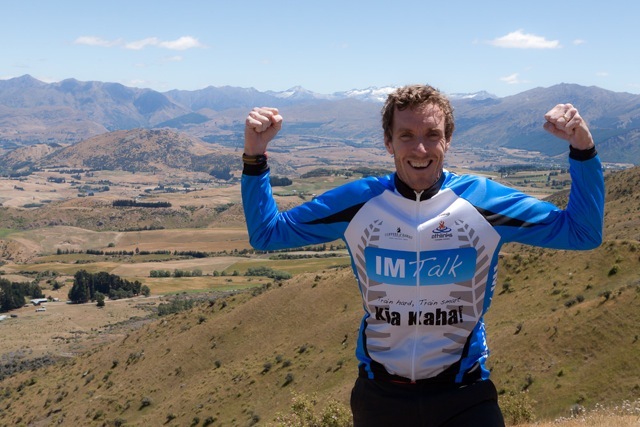 Interview: We have Dirk Friel from www.trainingpeaks.com this week. He talks to us about what they are doing to give you better information about your training. Age Grouper of the Week: Justin Waller sent through Richard Hunter (along with his guide Alan Gulledge) became only the second visually impaired athlete to break 12 hours with a 11:55 finish. This is an amazing effort as Richard has only 5% vision. Coaches Corner: John covers how you can use this time of the year to identiy small areas for improvement and then put some focus into it. Weblink of the Week, Brought to you by SLS use the code IMTalk at www.slstri.com for a 25% discount: www.trirating.com has done it again, John just loves this site. Check it out. This Weeks Website: Chrissies Audio Motivation.